I am a big fan of gardening accessories and gadgets. 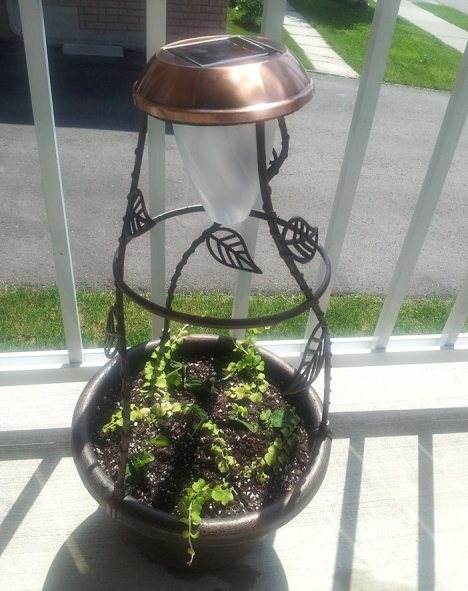 My latest accessory is SolaRadiance – a simple and unique lighting solution for small gardens. I received my SolaRadiance kit in the last week. 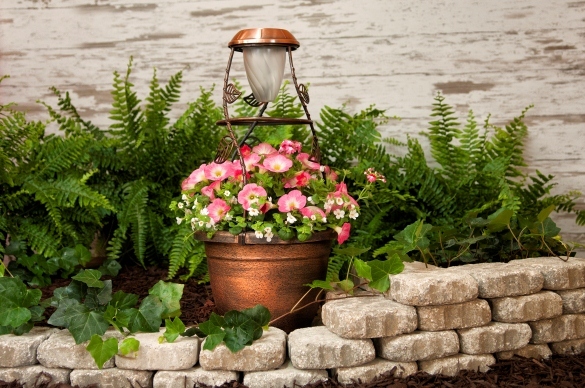 It came with live plants in a beautifully designed pots that give the look of vintage copper pots. On top of the pot fits the SolaRadiance light. The light is powered by a AA size rechargeable battery that is charged by the solar cell that sits on top of the fitting. The pot can be used to plant your favorite varieties easily. The plants can be watered and fertilized just as ordinary plants and there is no extra maintenance required. So far, the solar panel is working well. I have placed my plants on the terrace where they receive direct sunlight in early hours of the morning. The light on the plants creates a dramatic effect in the evening. 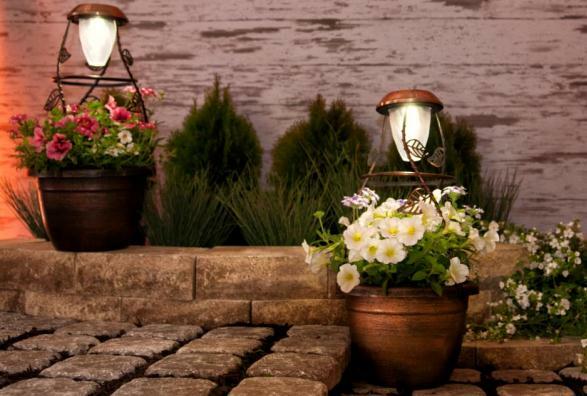 I do not have a lawn but I believe these illuminated plants will look gorgeous in gardens, walkways patios or near pools. I am planning to plant succulents in my SolaRadiance pots. I will share more pictures of my SolaRadiance pots soon. For more details, you can visit their website www.solaradiance.com.